The largest economy in Southeast Asia, Indonesia hosts a large population while remaining vulnerable to climate-induced disasters. Home to around 130 active volcanoes and vulnerable to climate change, the region is extremely prone to natural disasters including earthquakes, flash floods, landslides, and volcanic eruptions. Our teams have worked to provide emergency relief for families in need across Indonesia, in addition to seasonal and sustainable support to reduce the effects of long-term poverty. As the worlds fourth most populated country and with soaring levels of poverty, many communities remain incredibly vulnerable – especially in times of disaster. An economic crisis throughout Indonesia in 1998 resulted in mass unemployment, with entire families suffering. Over the last ten years, Indonesia has since witnessed extensive economic growth. However, with ongoing high levels of poverty, 19.4 million people cannot meet their nutritional needs. This is particularly true in rural areas, where 14.3% of people are living below the poverty line. With high food prices, insecure access to food and the constant threat of natural disasters, many families long for financial security and stability. Lacking sufficient access to clean water and sanitation, diseases such as avian flu and dengue fever, carried by mosquitos, also spread quickly. Working in the country since 2000, Islamic Relief established a permanent field office in March 2003, implementing a variety of relief and development projects. 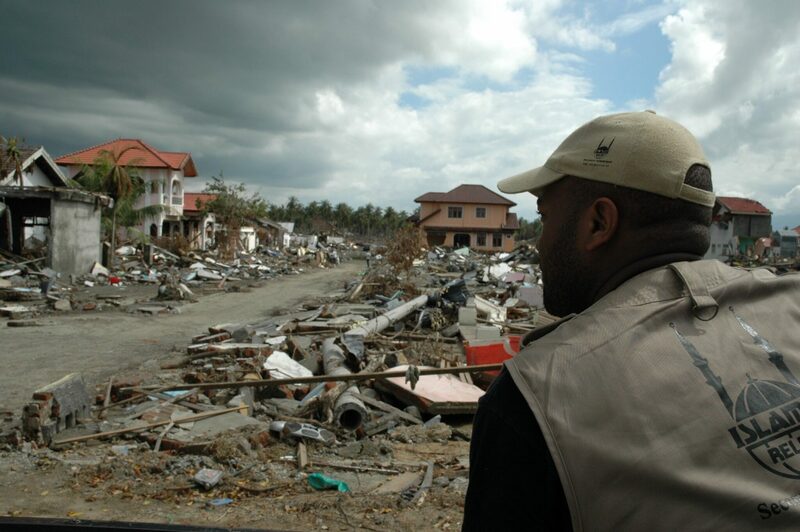 When earthquakes hit in 2006 and 2009, we responded within a matter of hours, distributing emergency supplies. We rebuilt the Lhong Raya hospital and Suak Pandan Elementary School, as well as installed bamboo pipe water systems within local communities. After the 2014 tsunami hit, we responded the next day, distributing food, medicine, tents and hygiene supplies. We continued to reconstruct housing as well as other critical public buildings and have also been working to provide access to healthcare, education, clean water, and livelihood support through vocational training and supporting local businesses.